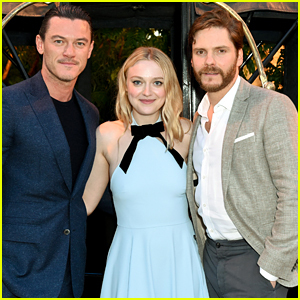 Luke Evans, Dakota Fanning, & Daniel Bruhl Promote 'The Alienist' at Emmy For Your Consideration Event! Luke Evans joins co-stars Dakota Fanning and Daniel Bruhl at the Emmy For Your Consideration Event for their TNT show The Alienist on Wednesday (May 23) at the Wallis Annenberg Center in Beverly Hills, Calif. 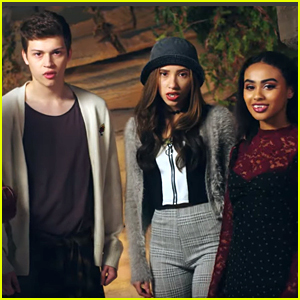 The 39-year-old British actor looked hot in a navy suit over a black T-shirt while his 24-year-old co-star looked pretty in a baby blue dress for the event. Earlier this week, Luke was spotted grabbing sushi with his hot new rumored boyfriend! Dakota Fanning looked lovely in white while stepping out for the Turner Upfronts! The 24-year-old actress hit the red carpet as part of 2018 Upfronts week on Wednesday (May 16) at The Theater at Madison Square Garden in New York City. She was also joined by her The Alienist cast mates Luke Evans and Daniel Bruhl. 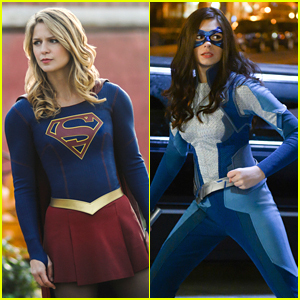 “I’ve always wanted to make sure that the characters I’m playing have an equal voice to their male counterparts and to play complicated women. I think that’s always been important to me, a no-brainer to me, I was raised to feel empowered,” Dakota said of her role in the show ahead of the event. Also in attendance was Daniel Radcliffe, who was representing his TNT series Miracle Workers. FYI: Dakota is wearing a Cinq à Sept dress. 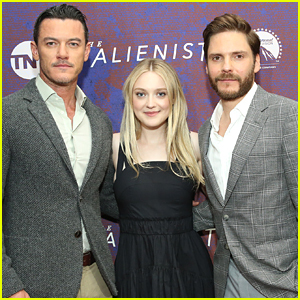 Luke Evans, Dakota Fanning, & Daniel Bruhl Promote 'The Alienist' in NYC! Luke Evans hits the red carpet alongside co-stars Dakota Fanning and Daniel Bruhl for a For Your Consideration Event on Tuesday (May 15) at the 92 Street Y in New York City. The stars stepped out for the event to promote their hit TNT drama miniseries The Alienest. Over the weekend, Luke attended several screenings and parties during the 2018 Cannes Film Festival in France. While he was there, Luke took to Instagram to share a hot shirtless selfie while he hung out on a boat! Hugh Jackman & Daisy Ridley Win Best Actor & Actress at Empire Awards 2018! Hugh Jackman and Daisy Ridley are big winners! The 49-year-old Logan actor and the 25-year-old Star Wars: The Last Jedi actress won Best Actor and Best Actress at the 2018 Empire Awards held on Sunday night (March 18) in London, England. Josh O’Connor won for Best Male Newcomer, and Dafne Keen won for Best Female Newcomer. Star Wars: The Last Jedi also won for Best Film, while God’s Own Country won Best British Film. Mark Hamill, Riann Johnson, Charles Babalola, Gethin Anthony, Fionn Whitehead, Nicholas Pinnock, Daniel Bruhl, Felicitas Rombold, Anya Taylor-Joy, Joely Richardson, Patty Jenkins, Andy Serkis, Martinn Freeman and Vanessa Kirby were all in attendance at the event. 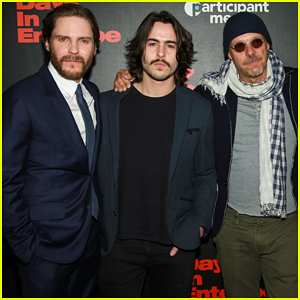 Daniel Bruhl Suits Up To Bring '7 Days in Entebbe' To NYC! Daniel Bruhl is dapper in a suit while hitting the carpet at the premiere of his latest film 7 Days In Entebbe held at the Metrograph on Monday (March 12) in New York City. 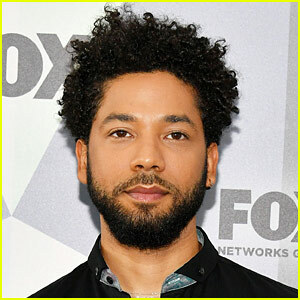 The 39-year-old actor was joined at the event by his co-star Ben Schnetzer, as well as the film’s producer Kate Soloman and director Jose Padilha. 7 Days in Entebbe is a gripping thriller inspired by the true events of the 1976 hijacking of an Air France flight en route from Tel Aviv to Paris. 7 Days in Entebbe depicts the most daring rescue mission ever attempted. The flick, which also stars Rosamund Pike, hits select theaters on Friday (March 16) – Watch the trailer here! Rosamund Pike & Daniel Bruhl Premiere '7 Days in Entebbe' at Berlin Film Festival! Rosamund Pike stuns in a white gown while hitting the red carpet at the premiere of her latest film 7 Days in Entebbe held during the 2018 Berlin International Film Festival at Berlinale Palast on Monday (February 19) in Berlin, Germany. The 39-year-old actress was joined at the event by her co-star Daniel Bruhl and his wife Felicitas Rombold, as well as the film’s director José Padilha. That same day, Rosamund and Daniel went for more casual looks to attend their photo call and press conference for 7 Days in Entebbe. The flick is a gripping thriller inspired by the true events of the 1976 hijacking of an Air France flight en route from Tel Aviv to Paris. 7 Days in Entebbe depicts the most daring rescue mission ever attempted – Watch the trailer below! FYI: Rosamund is wearing Givenchy for both the premiere and photo call.